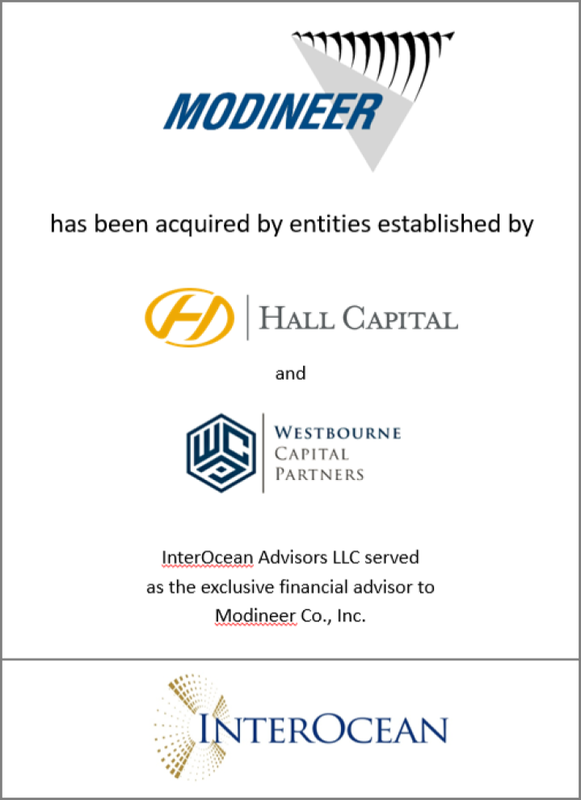 InterOcean Advisors is pleased to announce the successful sale of Modineer Co., Inc. (“Modineer”) to an entity established by Westbourne Capital Partners, a Chicago-based private investment firm, and Hall Capital, a family-owned private investment company located in Oklahoma City, Oklahoma. InterOcean acted as the exclusive financial advisor to Modineer Co., Inc.
– Ed Hamilton, CEO of Modineer Co., Inc.
Modineer is a manufacturer and fabricator of metal components for the automotive, military, truck/trailer and industrial markets utilizing stamping, roll forming, welding, machining, painting, e-coating and other specialty processes. Originally founded in 1940, Modineer is a manufacturer and fabricator of metal components for the automotive, military, truck/trailer and industrial markets. Products are sold to OEMs and Tier 1 suppliers. The Company has nine manufacturing facilities in Indiana, Michigan and Missouri, and is headquartered in Niles, Michigan. Westbourne Capital Partners is a Chicago-based private investment firm focused on investing in and growing companies in the lower-middle market. Westbourne Capital Partners works with family offices and high net worth individuals to deploy capital into direct investments in private companies, primarily through change of control transactions. For more information, visit www.westbournecp.com. Hall Capital is a family-owned private investment company with offices in Oklahoma City, Nashville, Chicago, Dallas and Tulsa. Hall Capital is home to a diversified collection of business interests focused on investments in the automotive and real estate sectors. For more information, visit www.hall-capital.com. InterOcean Advisors LLC is an independent investment bank that provides mergers and acquisitions and capital raising advisory services to manufacturing and industrial companies. For more information, please visit www.ioadvisors.com.